The Ghosts Haunting Silicon Valley Buildings: Does Yours Have One? Tired of hearing that friendly "Howdy, Neighbor!" from the folks who live down the block? How about the encroaching silence of a winter breeze followed by hollow footsteps falling beside you, matching your cadence as you peer over the breath on your shoulder to... nothing? Did you ever think the odd chill you feel when you walk into a house may not be the air conditioning? No? Well, let's rest our left hemispheres for the moment and let our imaginations run for a little while. As fortunes come, go, and IPO here in the only land that's had a gold rush in three different centuries, the Bay Area and its Valley of the Heart's Delight (now modern-day Silicon Valley) isn't without its own stories of mystery. Here in Silicon Valley we have the offspring of guilt and loneliness, a sprawling byzantine mansion whose body was contorted and twisted into a maze of corridors to stretching a mile into nowhere, with staircases into floorboards and windows peering nowhere else. The Winchester Mystery House is the progeny of one Ms. Sarah Winchester, heiress to the Winchester Rifle Company fortune, whose story is one of unadulterated madness reflected in the continuing torture of this solitary Victorian property. Our hero, the living mansion, was finally allowed to rest with the passing of poor, rich Ms. Winchester. Reality is about perception and if people don't trust what they perceive to be true, what can they trust? Q.E.D. Quod erat demonstrandum. Quod ego dico. No hablo latin. But your eyes will deceive you: they are designed to. And with this deception comes magic and imagination, a world where your basic instincts about the rules of the universe, up and down, and what should be, are callously discarded. There are places where you can be an awakening child again, where the realm of possibility is once again endless and where the answers to life's basic questions are no longer carved in stone, but merely filled in with pencil. Mystery Spot in Santa Cruz (an hour from Sunnyvale so we'll annex into Silicon Valley) is one of those places. Revealing its hidden treasure, the eternal spring from which its power flows, would be like saying telling Virginia there is no Santa Claus or banning the Easter Bunny from Walnut Creek. So, for its secret, make love not war... and stay away from Wikipedia. 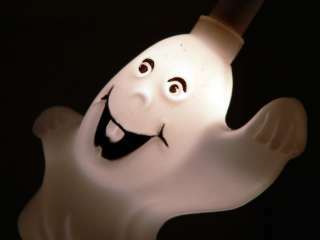 Yes, my house is haunted but only with the Ghosts of Christmases past that I choose to reminisce about. We laugh, we sing (offkey), and tell stories about the fish that got away. They say that a casual glimpse into the past helps you see your future. Yes, I'm just kidding but an active imagination helps keep you creative! But some people can live in the world of the paranormal intuition and, in a reality where all the things great and small happen to good people, there is a site by Mary Pope-Handy. Mary's site talks about what to do if you have a property which has been stigmatized in some way and includes everything from disclosing your ghosts to light-hearted pointers to recommended clairvoyants and psychics. I have no idea what questions to use to see if their good at their jobs, but in this increasingly data-driven world, sometimes letting our minds meander off the beaten path is a welcome diversion. My most memorable moment in real estate came when I was previewing a stigmatized property. An elderly gentleman there had committed suicide because of an extended illness and the family wanted to put it behind them and move out of the house. This is understandable because the ghosts of people's memories surface all too frequently when you're being reminded of them. I drove to the foothills and passed a gaggle or a gobble of wild turkeys that had setup camp on the road, and I figured that would be the strangest part of my afternoon. It was a beautifully crisp day in the late autumn and I remember being slightly amused that the turkeys had survived Thanksgiving intact. This was going to be a fun day. The real estate agent showing me the property greeted me outside the door and reminded me that this was a stigmatized property --- which is a legal requirement here in California --- so I thought I was well-prepared. The house itself would have been a proud, spacious mansion in my heart's home, New Orleans, but in this area, it was a peer to its neighbors and welcoming to boot. I walked upstairs into a bedroom that had been used as a small office and saw that the floorboard had been exposed, its carpet and padding torn off recently in an eight-by-five foot area closest to a sliding mirror door obscuring an emptied closet. Strange, I thought, since this was the only room where the carpet was being replaced. Not so strange when I glanced at the ceiling... Needless to say, that was the end of the tour and I didn't contact that agent or their branch office ever again. Come on, a little human decency please. The reality of Silicon Valley is that you need a car to get most places you'd actually need (or want) to get to on a regular basis. This is unfortunate because other urban-suburban regions have shown that it's both possible and practical to have large scale mass transit. Boston, for example, has the amazingly interconnected T which seamlessly integrates its rail, subway, bus and boat system through everywhere from its Charles River neighbor Cambridge all the way out to "You Name It, Massachusetts"! In contrast, the Silicon Valley equivalent is a myriad of public transportation silos which include the VTA, SamTrans, BART, MUNI, and ACE, among others. The good folks at Google helped make sense of all the acronym soup by working with 511.org to create what I call the Silicon Valley Public Transportation Wizard. It's essential for anyone hoping to get the most out of Bay Area public transport. The other reality of our car-based culture is that gas is expensive in Silicon Valley. I remember a time when I loved to take random drives with friends to Gilroy or Half Moon Bay at the spur of the moment, much like we might have taken the Green Line in Boston to Sunset Grill and Tap. So what can people do to ease the crunch? The government is actually bribing people to carpool and has hosted a website to make it easier to find other willing cohorts in this cunning plan to decrease the amount of your disposable income that goes into gasoline. There aren't the same incentives for you to use public transportation. Admittedly, it's not always faster and more convenient, but there are ways to make it work for you instead of the other way around. Many large companies offer shuttles to and from local stations and, if they don't, they might be persuaded by all the good vibes they get from the community and maybe even the media for helping take cars off the highway. People I know have also moved within walking distance of the local CalTrain so that they can get up to San Francisco more easily without running through the speed trap by Candlestick Point or waiting out the bottleneck heading up the 101 every weekend. Some time ago I looked into buying a gas station. The reality of the business is that, no matter how expensive gas looks to you and me, the operators don't make very much money off any given gallon. Oil companies often own the land the station is on and know how much each station should be worth to their bottom line. Then, they calculate how much to charge the station for gas based on, effectively, how much they think they can get away with relative to their competition and demand. The operator adds a few cents onto the price for their margin and hopes that you stop in for coffee or a car wash --- where they actually make money. A lot of this money goes back into the land leased from the oil company. If anything, the operator is getting squeezed just as much as the consumer is, with one subtlety. Costco sells gasoline and because they purchase inventory on a more regular basis (and from multiple suppliers, just ask Lex from Survivor), they can more easily take advantage of price fluctuations (i.e. when the price drops, it usually drops at Costco first). It's of note that their target margins are the same or a little higher than an average station, but their ability to sacrifice those margins is much, much higher. Other stations will leave higher prices to linger for a little while so they can capture profits while the market adjusts. 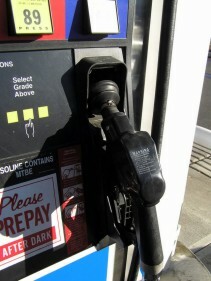 There are also a number of web sites that let you compare gas prices around the area. One such site is the aptly named SanJoseGasPrices.com or GasBuddy.com, where community members post what the gas prices are at various locations. Whoever said "virtue is its own reward" didn't know that the 511 Rideshare Rewards Program is giving away up to $100 in gasoline and Safeway gift cards to new carpoolers in the Bay Area. To encourage Silicon Valley commuters to make the switch from "California carpools" (you know, where everyone going to the same place uses their own car) to real ones, they're giving away $10 in swag every five days you carpool --- and one person who carpools over 40 days will win $1,000 in cash! The program ends Halloween 2007 or when the money runs out. For carpool newbies, the next logical question is, "Where do I find a carpool partner?" The 511 Ridematch site can automatically notify you of potential Silicon Valley carpool partners. You start by entering your email address and password, which is used to create an account for you. You can also optionally select the company you work at from a list pre-populated with the workplaces of existing members. Afterwards, you're taken to a detailed form which asks you where you need to carpool to and from, what your contact phone number is, and what your typical work schedule looks like (as well as how much flexibility you have). There is also a more detailed form where you can enter the variations in your weekly schedule if, for example, you need to be at your daughter's soccer games every Wednesday evening at 6:30pm. Once you've entered your information, you'll be notified of people who are good matches for your schedule. The folks at eRideShare.com take a broader approach to matchmaking. They not only cover commuter carpools, they also handle carsharing for running errands and cross-country trips. 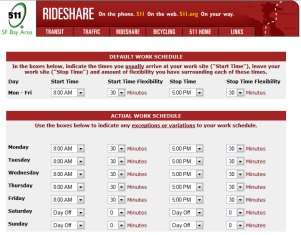 Like 511 Ridematch, the system is free and convenient, but because they take a more Craigslist-style approach to connecting people, where people can remain relatively anonymous communicating using email aliases, eRideShare.com encourages safety and common sense. Ever wondered how your favorite shopping mall rates or whether there might be a much nicer one within a few minutes of where you're going now? Scott Parsons of the BIGMallRat Guide to Shopping Malls has a solution. His site focuses on Northern California and Reno, Nevada and rates some of the biggest shopping malls in and around the San Jose area. 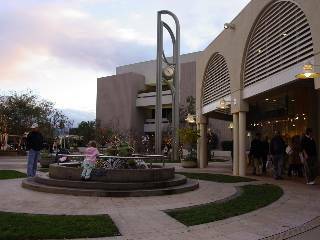 He brings us this beautiful picture of the Stanford Shopping Center courtyard in Palo Alto to the right. There's no surprise Santana Row (it's more urban experience than pure shopping mall) and Valley Fair get 10 out of 10 ratings and there's also strong coverage of malls in the East Bay, including the 10 out of 10 rated Stoneridge Shopping Mall, Walnut Creek's upscale Broadway Plaza, and the Fremont Hub --- which didn't fare so well in the ratings! Menlo Park is a Tree USA city, adhering to four national standards for tree management and budgeting on forestry maintenance. Nestled into the lush greenery is a bustling area in central Menlo Park where hundreds of people will gather on a typically bright summer afternoon in Northern California, enjoying a glass of wine and walking the local scene. This walking tour of Menlo Park starts at its cultural epicenter, the Kepler's Bookstore on the cross of El Camino Real and Ravenswood Ave.
Any trip to Menlo Park should start at Kepler's Books and Magazines, the premiere independent bookstore in Silicon Valley. A place for literati, Kepler's fosters a community atmosphere where people are encouraged to read, debate, and generate ideas. They run an impressive array of author events where you can speak directly with the people who've written your favorite books and while you'll never confuse it with a discount bookstore, you will find many titles that no mainstream bookstore would carry. It's this non-mainstream mentality that keeps Kepler's on the border of going out of business. In recent years, they've announced their closure only to be bailed out at the last minute by passionate customers turned investors. Customers love Kepler's that much and that's worthy of a starting point. It's at the intersection of Ravenswood and El Camino Real. There is underground parking beneath the building. Next stop: Next door at Cafe Borrone. Cafe Borrone is a European-style cafe in Silicon Valley. It's a great place to get a glass of wine and a small snack, sitting outside in the expansive courtyard with a friend or a good book from Kepler's next door. And when the sun is out, you'll find the area completely packed with a wide variety of people enjoying Northern California weather. There's something about the atmosphere that draws not only locals, but people from all over the Peninsula. If you decide to play hooky at Cafe Barrone, just remember that your boss might be there too! Next stop: The BBC. Right next door. The British Bankers Club is an English pub complete with the bright red telephone booth. While not as popular as Cafe Boronne, the BBC offers it's own brand of atmosphere and a good selection of beers to match. You can get traditional British dishes like bangers and mash (sausage and mashed potatoes) or sit outside and enjoy a Guinness and a cigar from the tobacco shop next door. Next stop: The Menlo Park Train Station. Walk a block Northwest, behind the BBC. The Menlo Park Railroad Station is the oldest passenger train station in California. The building pictured was built in 1867 and hasn't changed that much since the 1890s when the station was remodeled with Victorian ornamentation to serve the newly-opened Stanford University. It is still operational and serves to connect Menlo Park with the rest of Silicon Valley by CalTrain. Next stop: Xanadu. Go to El Camino Real and walk up Santa Cruz Ave. The walk up Santa Cruz Avenue brings you through Downtown Menlo Park which has great eating at the Left Bank and strong specialty stores like The Runners High. 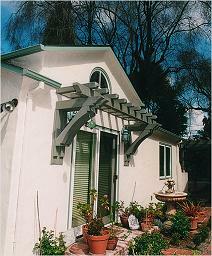 Xanadu Gallery, which sits on the southwestern end of Santa Cruz Avenue, is home to ancient artifacts and folk art from Asia, Africa, and Latin America. Almost all of the pieces in the gallery are for sale and many date back for centuries. One of the priced pieces in the collection is an andesite figure of Buddha from 9th-century Java selling for $650,000. But take heart, that's less than the price of a house in Menlo Park! Just when you thought Berkeley was becoming a gentrified shell of its former self, with the surprisingly large population of young Republicans there, KGO updates a fantastic story about local activists who are opposing the construction of a Cal gymnasium, which threatens a local oak grove. The protesters are now claiming the oak grove could be the site of an Indian burial ground. I'm for balancing conservation and concrete but how ironic would it be if they completed the gym and built a well-deserved monument to Native American culture? That isn't the only surprising fact Berkeley has in store though. Every time real estate is sold in Berkeley, the city levies a transfer tax on the transaction: a tax that amounts to $15 for every $1,000. So your "average" $700,000 house will result in a transfer tax of $10,500. Berkeley's city transfer tax, aside from Oakland, which charges just as much, is the highest in the Bay Area. City transfer taxes are separate from the county transfer tax, which is $1.10 per $1,000 in counties across California. For Berkeley, Oakland and all of Alameda County, the convention is for the buyer and seller to split the city transfer tax and for the seller to pay the county tax. The buyer and seller usually split the city and county taxes in proportions based on the conventions of county in which the property is located. You'll find many cities in the Bay Area with much more reasonable local transfer taxes, and many with no city transfer tax at all! Just remember, the disclaimer for this article is that, at the time of this writing, the numbers are considered accurate but are not guaranteed. Lawyers and CYA, sorry! Coming in at $3.30 per $1,000 are the Santa Clara County cities of Palo Alto, Mountain View, and San Jose, including Santana Row which many folks believe is in Campbell. In Santa Clara County, the convention is for the seller to pay the county transfer tax, and for the seller to pay the full city transfer tax or to split it the buyer. The city of San Mateo is a little higher at $5, but many other cities in San Mateo County have no such tax. Like Santa Clara, the San Mateo County convention is for the seller to pay the county transfer tax, and for the seller to pay the full city transfer tax or to split it the buyer. Responding to reports about mountain lions sunbathing at the Fremont BART station, California Department of Fish and Game officials flew over the area with a helicopter and heat-sensing equipment but didn't find the offending felines. When I first moved to Silicon Valley almost a decade ago... I spent a lot of time inside because of El Niño. But when it finally dried out, I dismantled the ark I'd been building, and took to hiking around beautiful Northern California. At the time I was an East Coast transplant from Cambridge so I didn't take the warnings about mountain lions too seriously, and to this day (knock on wood) I've never seen one personally. 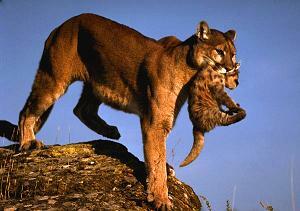 But you do hear stories and the City of San Jose even publishes mountain lion and coyote safety tips. There are noted attacks in Northern California, and though only 16 people have been injured by mountain lions since 1890, encounters have become more common as Silicon Valley's real estate stretches more into territory formerly claimed by big cats. The San Francisco Chronicle notes that animals typically try to avoid people but also provides tips in case you run into one!